Researchers tested the effects of elevated salinity and increased phosphorus on sawgrasses to see how marshes would respond to future sea level rise. Beneath the surface, however, the roots of these now larger, moderately salt-tolerant plants like sawgrasses will begin to wither and die if the water gets too salty. If there’s no time for mangroves or other plants to take hold, the soil could be lost. More saltwater could rush in over time. To slow this effect, more freshwater should be released into the Everglades, according to the two-year study. 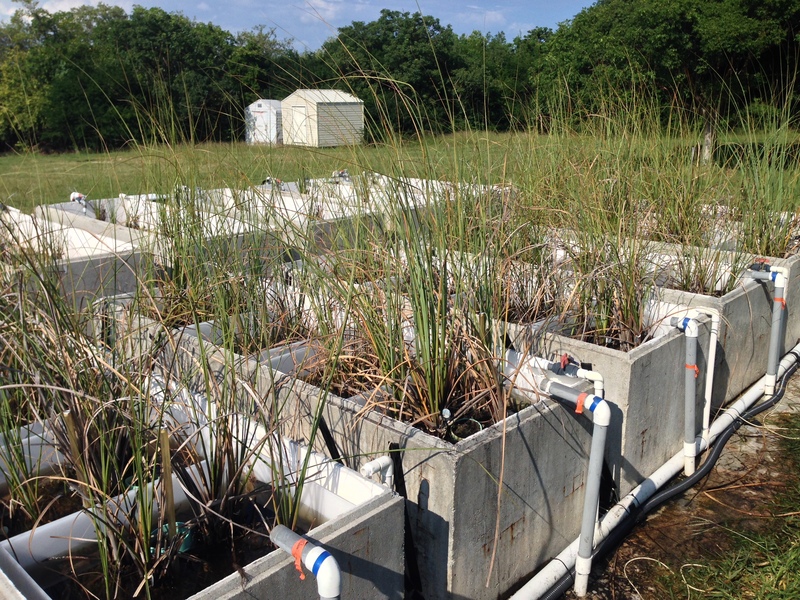 Healthier-looking plants might offer the first clue that sea level rise is affecting the freshwater Everglades. That’s because as salt water interacts with the limestone bedrock of the Everglades, it releases phosphorus – a nutrient that helps plants grow. “We want to provide awareness and time to allow decision makers to understand why it’s important to restore freshwater flow to the Everglades,” Wilson said. FIU College of Arts, Sciences & Education researchers Shelby Servais, Sean Charles, Viviana Mazzei, Evelyn Gaiser, John Kominoski, Jennifer Richards and Tiffany Troxler were co-authors of the study, which was published recently in the journal Ecology. The research is part of the Florida Coastal Everglades Long Term Ecological Research Program (FCE-LTER). Housed at FIU and funded by the National Science Foundation, the FCE-LTER Program studies how water, climate and people interact to impact the Everglades. “This study shows that the effects of sea level rise on coastal wetlands are complex, and that long-term observations are needed to understand how these ecosystems are changing,” says David Garrison, a National Science Foundation Long-Term Ecological Research program director. Next, the researchers will study which portions of the Everglades are the most vulnerable to soil collapse from saltwater intrusion.